The owners of the University Plaza in Amherst have won a reduction of $1.7 million in the shopping center's assessment. Attorneys for the plaza, the Town of Amherst, Amherst Central School District and Erie County agreed to a deal that lowers the assessed value by 12.1 percent, from $14.1 million to $12.4 million. The agreement settles a lawsuit brought by the plaza's owners in State Supreme Court that sought a 50 percent assessment reduction, to $7 million. The shopping center at 3500 Main St., across from the University at Buffalo South Campus, is anchored by a Tops Markets. It also includes Dipson Theatres’ Amherst Theatre movie house, a Dollar Tree, a UPS store and other storefronts. It has four buildings totaling 168,958 square feet of space on 14 acres, town records show. Phillips Edison & Co. purchased the property in 2007. Eight years later, the special servicer LNR Partners foreclosed on the plaza after Phillips Edison defaulted on its mortgage in a transaction valued at $9.87 million. The property backs the fifth-largest delinquent commercial real estate loan in the Buffalo Niagara region, according to the latest monthly list from the real estate advisory firm Trepp. The property is $7.3 million in arrears. The owner is listed as Uniplaza Inc. Amherst Station LLC, with the same Cincinnati, Ohio, address as Phillips Edison, and an executive said in court papers that his firm manages the property. Uniplaza Inc. challenged the property's $14.1 million assessment to the town's Assessment Review Board, which said the company didn't provide sufficient data to convince board members to lower the property's value. Uniplaza filed a challenge in State Supreme Court, known as an Article 7, that contended the assessment was "erroneous, unlawful, unequal and excessive." The court filing doesn't provide detailed financial data to justify Uniplaza Inc.'s $7 million figure. Joanne Schultz, Amherst's senior deputy town attorney, said the company's attorney did provide more specifics to the town, Amherst schools and the county. She said the government entities defending the lawsuit took into account several factors before agreeing to the settlement. For one, the largest tenant in the retail complex, Tops Markets, has only recently emerged from bankruptcy, Schultz said. Second, the plaza has a vacancy rate somewhere around 20 percent, Schultz said. Finally, defending an Article 7 case can be expensive if it drags on, she said, and it's often in the town's interest to reach a deal. Attorneys for all of the parties agreed to lower the assessed value to $12.4 million for the 2018-19 tax year. The company owed $442,176 in combined school, county and town taxes at its previous assessed value, according to the most recent tax bills for the property. Amherst will send a corrected town and county tax bill for this year reflecting the lower figure. The company, however, will not get a proportional refund of its school tax bill for 2018-19. The lower assessed value will remain in place for the three following years, through 2021-22, according to court filings. The Amherst Town Board is set to vote on the proposed reduction at Tuesday's meeting. 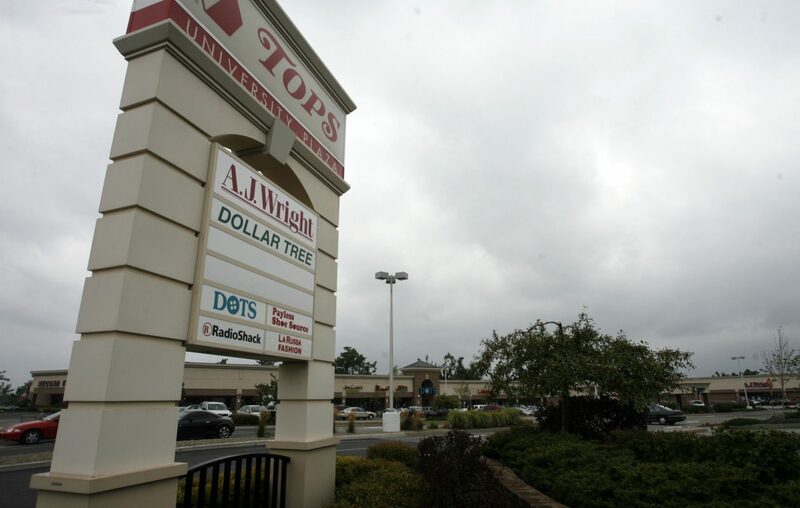 NOTE: An earlier version of this article stated Tops Markets has negotiated a lower lease payment for its store in the plaza, based on information provided by an attorney for the town. A Tops spokeswoman said that is not the case.